No matter what sport suits your fancy, too much of one thing is almost never healthy. Whether you are a football player, dancer, or gamer, you are without a doubt, a victim to some sort of risk. As Esports gaming becomes more popular, health-related injuries and health-awareness are on the rise. Gaming is everywhere, from your phone, tablet, console or computer. Everyone from yourself to your grandmother could be at some sort of risk from extended periods of gaming or computer use. When you sit focused for hours on end, most people do not realize the mental strain or physical strains that could be affecting your eyesight and/or hands, wrists, and/or back. Another health-related risk is Carpal Tunnel Syndrom (CTS), also known as the “silent-killer of gamers.” While CTS is potentially a major life-long issue, there are things that can be done to avoid it or prevent it from getting worse. Hai “Hai” Lam is a former professional League of Legends player. He was the primary shot-caller and mid-laner for Cloud 9. 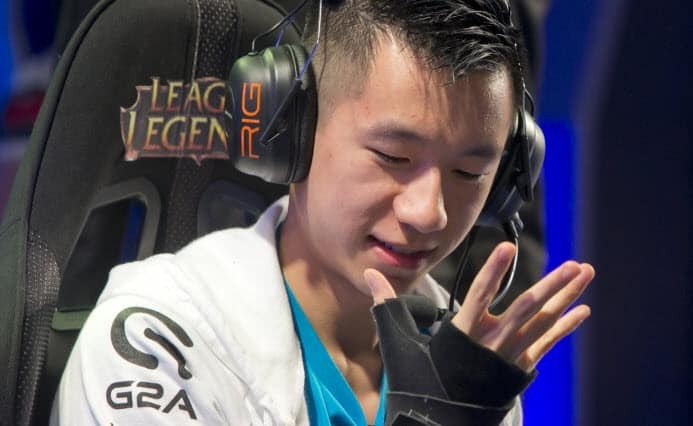 Unfortunately, after 6 years within his professional Esports career, Hai, 22, retired mainly due to a type of tendinitis in his hands. Hai’s injury was the result of years of repetitive strain from gaming. He was sadly limited to the number of games he could play in Solo Queue, and professionally, in order to keep his skills sharpened to compete. The former star of Cloud 9 is still in the League of Legends scene as part of the broadcast team for Riot Games. He has also started his own team, Radiance, which he is Founder, Owner, and CEO. Similar: Tfue Neck Condition Worsens. Here Is What We Know So Far. Keep your back at 90-135 degrees. Keep your neck straight with the crown of your head above your spine. Make sure your screen height is set to where you are looking straight ahead to the top half of your monitor. Gaming chairs are highly recommended as they can correct improper form and posture. You will also find professional players today wearing various types of wrist bands, braces, and gloves. Many of these digital athletes are even required by their managers to take breaks, stretch, and keep proper postures when gaming for hours on end. As a casual or professional gamer, doing the necessary research to educate yourself on the possible health risks of too much gaming is being responsible. Seeking advice from a doctor as well is also wise. 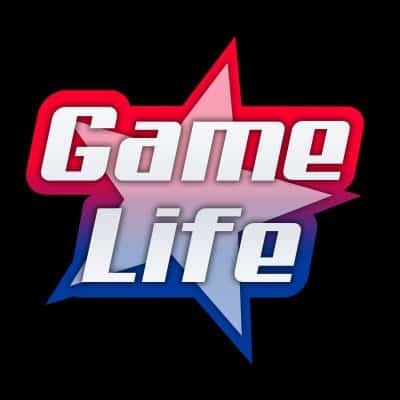 Doctors deal with all types have patients, and have seen many different cases of issues that can be related with playing too much video games. Be sure that you are in control of your gaming future and body while taking proper precautions, which also includes mental state. Keep your posture straight, neck straight, breathe, stretch, take a break from time to time. If you have a dream to one day become a professional player, avoid these health-related risks that will take you down. Otherwise, how will you defeat your foes in the next matchup? 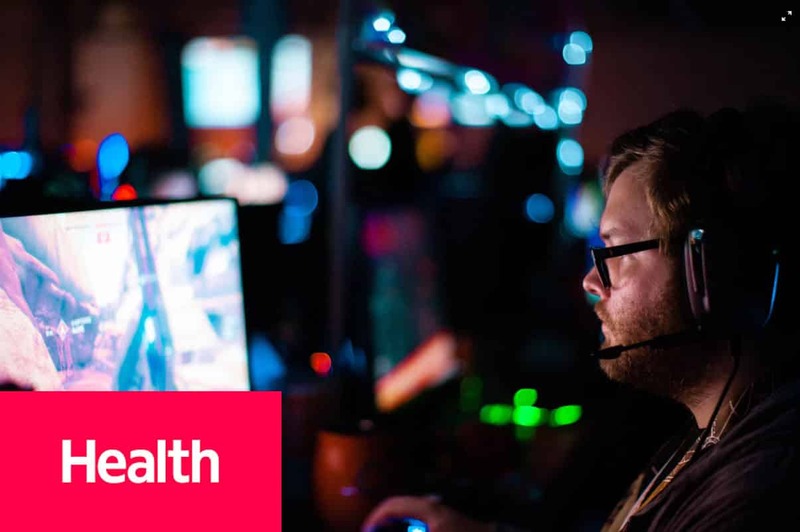 We hope you enjoyed this article about health-awareness in the gaming community. Do you have mental or physical issues because of gaming? Any tips or advice on how you overcome them?